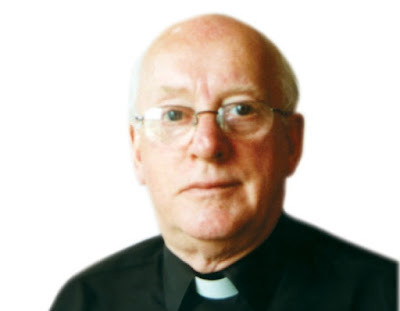 Fr Daniel 'Dan' Canniffe was born on 3 July 1928 in Bandon, County Cork, Ireland. He was an only child as were each of his parents. Educated at Bandon Naotional School, Hamilton High School, Bandon, and St Finbarr's College, Farrenferris, County Cork, he entered St Columban's, Dalgan Park, Navan, in September 1945. Ordained priest on 21 December 1951 Father Dan was appointed to Japan. He spent seven years there. After language school he was involved in pastoral work in Yakatamachi, Wakayama City. There he was involved in using all the usual techniques to make the Church known. This included posters, street collections for the poor, film shows, lectures by invited speakers, promotion of the Legion of Mary, the Society of St Vincent de Paul and the Young Christian Workers. Those were the years of plenty in post-war Japan when many people entered the Church.